INSIGHTEC announced today that worldwide adoption of MR-guided focused ultrasound continues to gain momentum as Exablate Neuro patient treatment numbers surpass the 1000 mark. 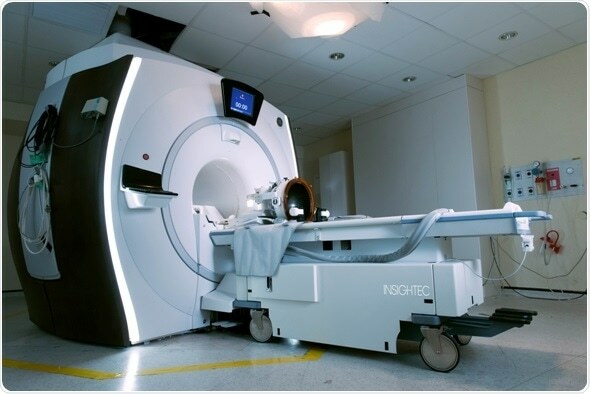 Medical facilities are ramping up their MR-guided focused ultrasound service and essential tremor patients are now being treated on a weekly basis at many sites. Exablate Neuro delivers focused ultrasound beams without any surgical incision to ablate, or destroy, the Vim of the thalamus, the tiny area of the brain thought to be responsible for causing tremors. Regulatory approvals in the USA, Canada, Japan, Europe, Israel and Korea contributed to the accelerated adoption of focused ultrasound treatments worldwide. One year ago, on July 11, 2016, the U.S. Food and Drug Administration approved Exablate Neuro as the first focused ultrasound device to treat essential tremor in patients who have not responded to medication. “Having this newly established treatment at Weill Cornell Medical Center allows us to offer a safe and effective, incisionless treatment for patients with disabling tremor,” said Dr. M. Kaplitt, Neurosurgeon at Weill Cornell Medical Center. Essential tremor is a very common neurological condition that causes shaking of the hands, as well as other parts of the body. For most people, the severity of the tremor increases over time to the point where performing everyday tasks is impossible. This can have a significant impact on a person’s quality of life. If medications fail to control symptoms, it may also be treated with radiation or invasive surgical procedures including traditional thalamotomy or deep brain stimulation. Focused ultrasound is an incision-less treatment option that minimizes risk of complications such as infection and bleeding, reduces time spent recovering and rapidly returns patients to their lives. “This past year, since having the focused ultrasound treatment, has simply been life-changing for me and my entire family”, commented Gregg Ley. Gregg was treated one year ago at Swedish Medical Center in Seattle, Washington during the FDA pivotal study designed to evaluate the safety and efficacy of Exablate Neuro for the treatment of essential tremor in subjects for whom medications were not effective. Over 30 Exablate Neuro systems are now actively treating patients for essential tremor as well as various research protocols for additional indications in 10 countries. “We are well on our way to changing the lives of millions of people living with essential tremor in the US and around the world”, said Maurice R. Ferré MD, INSIGHTEC’S CEO and Chairman of the Board.